What is the difference between the TECH 2 hand held tool and the newer MID interface you use with a laptop? From what I read, the MID will replace the TECH2 but currently it doesn’t diagnose, just program. I need to diagnose a few issues on a 2007 Silverado, 2012 Cruze and 2013 Cruze flood car. The clones are under $400 so it might be time to get one. 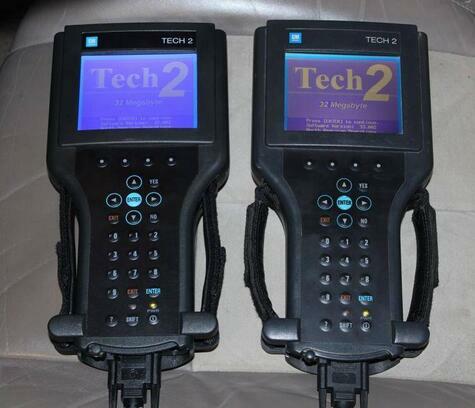 The Cheap $224.00 to $400.00 Tech 2s, made in China and don’t even bother having updates installed.They will crash when when updates are installed.Overall the clone Tech 2s are good for what you are doing and are good as the real version now made by Bosch.The real version was made by Vetronix,Bosch bought out Vetronix in 2003.Also make sure it has the Candi box with it,a must for these CAN vehicles. The last update for the tech 2 has already come out so, I would think about buying a new one unless you work on a lot of GM products. Depending on the vehicle you’re working on, the GM MDI (Multiple Diagnostic Interface) will do everything a Tech 2 will do but, you’ll need a laptop and GDS software. Going forward from the 2013 model year, the MDI with a laptop will be the GM Diagnostic tool. General Motors (GM) has launched Global Professional Diagnostic Tool (GDS 2) – its next generation, PC-based vehicle diagnostic system. GDS 2 is a PC-based platform that builds on the original GDS application, but also incorporates several new features, based on technician input. Combined with a Multiple Diagnostic Interface (MDI), GDS 2 provides an exclusive, effective and efficient system for the diagnosis of all the automaker’s new Global Architecture vehicles.